Family. Our little family here. Our family in other countries. Friends back home and around the world - you are missed. Friends here, for making life here easier. Good health. Yes, sometimes it feels like a stretch, given the toll living overseas is having on Michael and I, but, for the most part, we do have our health. Not having debt. We have our HECS/HELP back in Australia and haven't made back what it cost to move, but we only owe our saving account. There is something nice about that. Tea. Preferably leaf tea, shared with at least one other person. And thank you for reading, always, always thank you. 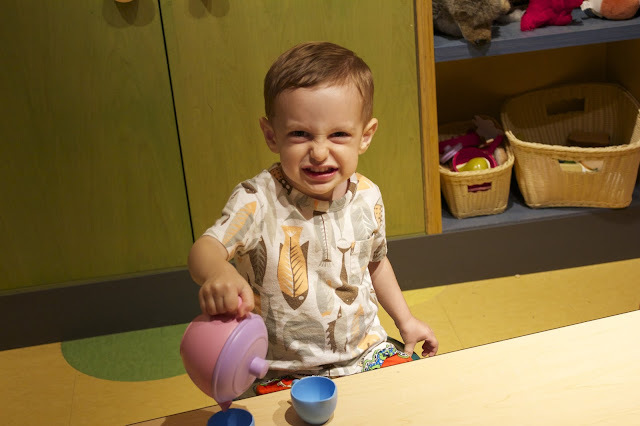 Also, thanks to Michael for setting up the timer for the first photo and for taking the photo of Jimmy making tea at the Discovery Center, way back when Grandma was visiting.